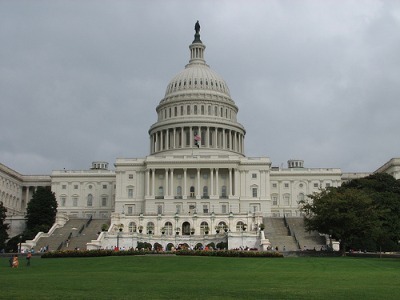 The Senate held votes this week on competing Democratic and Republican oil bills. 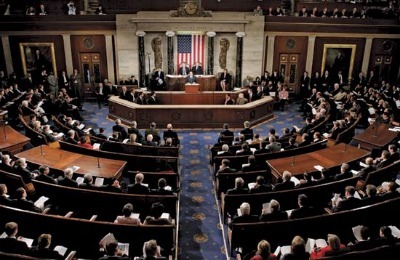 The Democratic bill, S. 940, which would raise taxes on big oil companies, was defeated on a vote of 52 to 48. The Republican bill, S. 953, which would force the Obama Administration to increase offshore oil leasing, was defeated on a vote of 42 to 57. Under Senate rules, sixty votes were required to pass either measure. Senate Majority Leader Harry Reid (D-Nev.) had this to say about those who voted against the bill to raise taxes on the five largest oil companies: “They would rather cut college scholarships, slash cancer research, and end Medicare than take away taxpayer-funded giveaways to oil companies that are raking in billions of dollars in profits.” Three Democrats (Senators Mark Begich of Alaska, Mary Landrieu of Louisiana, and Ben Nelson of Nebraska) voted against the oil tax hike, while the two Republican Senators from Maine (Olympia Snowe and Susan Collins) voted for it. And Senator James M. Inhofe (R-Oklahoma) had this to say about the Republican offshore bill: “The solution to skyrocketing gas prices is simple: increase supply.” The establishment media regularly try to portray Senator Reid as a statesman and Senator Inhofe as a conservative ideologue. These contrasting quotes allow readers to judge for themselves. 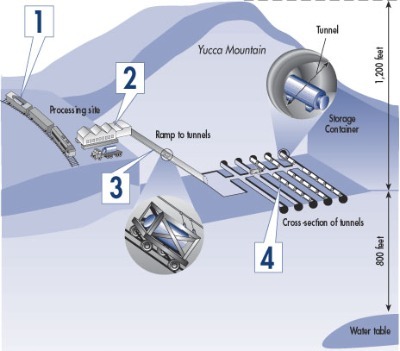 Will President Obama Reconsider Yucca Mountain? Years of procrastination in deciding on long-term disposal of highly radioactive fuel rods from nuclear reactors are now coming back to haunt Japanese authorities as they try to control fires and explosions at the stricken Fukushima Daiichi Nuclear Power Station. Some countries have tried to limit the number of spent fuel rods that accumulate at nuclear power plants: Germany stores them in costly casks, for example, while China sends them to a desert storage compound in the western province of Gansu. But Japan, like the United States, has kept ever-larger numbers of spent fuel rods in temporary storage pools at the power plants, where they can be guarded with the same security provided for the plants. Now those temporary pools are proving the power plant’s Achilles’ heel, with the water in the pools either boiling away or leaking out of their containments, and efforts to add more water having gone awry. While spent fuel rods generate significantly less heat than newer ones do, there are strong indications that some fuel rods have begun to melt and release extremely high levels of radiation. The reason why the United States stores spent fuel rods on site is because Senate Majority Leader Harry Reid (D-Nev.) has been able to block building the Yucca Mountain nuclear depository in Nevada for years. In 2009, President Barack Obama cancelled Yucca Mountain entirely. Does Sen. Jay Rockefeller Serve West Virginians or Harry Reid? Late in the 111th Congress, Senator Lisa Murkowski (R-AK) was building bipartisan support for a Resolution of Disapproval under the Congressional Review Act that would strip the Environmental Protection Agency of its authority to regulate greenhouse gases under the Clean Air Act. Due to a parliamentary quirk, the Resolution needed only a majority to pass (that is, it wouldn’t necessitate 60 votes to beat a filibuster) and it was entitled to a vote, so the Democratic leadership in the Senate could not sweep it under a rug. Moreover, there are 23 Senate Democrats up for re-election in 2012, and the political mood of the country in the summer of 2010 was shifting right. (This was evidenced by the GOP’s success in last November’s elections.) As such, an EPA reform bill was an attractive vote for many Senate Democrats from purple states, where the EPA is held is lower esteem than in, say, California or New York. As a result of these factors, Sen. Murkowski’s Resolution appeared to have good prospects. 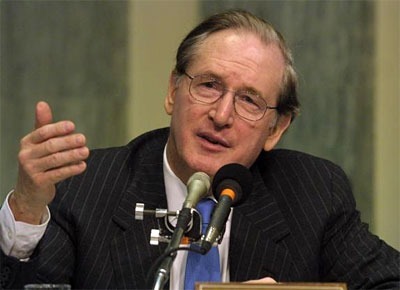 Enter Sen. Jay Rockefeller (D-WV). Just as Sen. Murkowski’s Resolution was gaining steam, Sen. Rockefeller introduced legislation that would delay the EPA’s regulation of greenhouse gases for two years, rather than repeal its authority outright (as Sen. Murkowski’s Resolution would have done). The Senate may vote today on the McConnell Amendment to S. 493. The amendment is identical to S. 482, the Energy Tax Prevention Act, which was passed out of the House Energy and Commerce Committee yesterday evening, with bipartisan support. The legislation would revoke the EPA’s authority to regulate greenhouse gases under the Clean Air Act. Although this looked like a long shot when Senator Minority Leader Mitch McConnell (R-KY) surprised everyone by offering it yesterday, the Democratic leadership realized late yesterday afternoon that they might lose. That’s when Senator Jay Rockefeller (D-WV) introduced his two-year delay bill as an amendment. That has fallen flat. The outcome appears to be in doubt this morning. There could be a vote and McConnell’s amendment could pass narrowly. There could be a vote and the amendment could fail narrowly. There could be a deal on all the amendments pending and the amendment could be withdrawn as part of the deal. McConnell could pull the amendment because it’s going to fail. Senate Majority Leader Harry Reid (D-NV) could pull the bill from the floor because the amendment is going to pass.